And while inventions like Facebook that provide this power can be incredibly useful in this world, they also pose an incredible security threat. The savvy twenty-first-century cyber user today needs to stay on top of those threats by securing technology with technology. One powerful way to share information today without sacrificing security is the faraday bag. Learn more about how to empower yourself with this sense of security, which is reportedly the same security means used during an interview with Edward Snowden. A journalist with “The Intercept” recently published an article in which he mentioned his use of a faraday bag. This bag he found integral to his use during his work on an interview with one of the world’s most famous whistleblower of our time, Edward Snowden. The faraday bag was used to protect all of the journalist’s technology, during the course of the interview. Given the secure nature of the subject in question, the journalist felt the need to protect himself from any interference technologically. Edward Snowden was a former CIA employee and whistleblower for the NSA, or National Security Agency. He ultimately went into hiding in Russia, allegedly. This occurred after he reportedly blew in the National Security Agency for global surveillance programs against United States citizens. To report this, he allegedly leaked classified information to the press which resulted in two counts of charges filed by the Department of Justice for violating the Espionage Act. When a journalist from “The Intercept” went to interview him in 2015, said journalist wanted to be sure the same thing wouldn’t happen to his own information. So he secured it with a faraday bag. The faraday bag was used to block any transmissions from the outside world to the technology inside the bag. In other words, if anyone was spying on the said journalist and Edward Snowden during the interview, through devices such as a boom microphone or wifi interference, the journalist would be protected through his faraday bag. A faraday bag may sound like something out of the tin foil hat community, but they work. And they protect you and your loved ones from losing your sense of Self in electromagnetic pulses. How do Faraday Bags Work? Faraday bags are named after the scientist known as Michael Faraday. The concept originated from the Faraday cages, which were built by Michael Faraday to block electromagnetic fields or electromagnetic pulses. Any electric technology that you have emits these pulses, and for the most part, they are harmless. But these electric pulses are still signals and can be used for communication. That means they can be hacked. That is, unless you have the special Faraday technology that protects them. Originally the Faraday cages were used to build around devices to protect them from these fields. Now, the same concept is applied to bags used to store devices. It’s easy to learn the difference between Faraday bags and Faraday cages and which is better with a little research. Which is better all depends on what you are using the product for. A wealth of research substantiates Faraday’s claim that electromagnetic pulses can also emit toxic health influences. You’ve likely heard the urban legend that cell phones can cause cancer through radiation exposure. The Bioinitiative Working Group found over 2,000 studies backing up this claim and the claim that electromagnetic pulses cause health problems. So not only can your data be hacked, but you can also get sick from the electromagnetic waves caused by technology. Faraday bags and Faraday cages prevent that. The cages themselves were invented in 1836, and the first ones were made to create a cover of material over technology that was initially mesh-like. This mesh-like covering would block electromagnetic fields. It’s also been said that Benjamin Franklin contributed to its development. By coating an entire room, or cage, with a tinfoil-like substance, Faraday noticed that the electromagnetic impulses could not get through to the products inside. You don’t need to be Edward Snowden, or a journalist covering Edward Snowden, to worry about EMP transmissions. EMP transmissions are everywhere in your home. Your laptop and home computer have EMP transmissions. One way to protect yourself from them is an extra large Faraday bag, or by working your technology soundly. You can protect yourself from some EMP transmissions with your computer by using a detached keyboard and detached mouse. Small Faraday bags can be used on these products when traveling, but you will reduce your exposure to EMP’s by simply using detached devices regularly. Cell phones are also widely reputed as carrying EMPs. Headphones that are wired are recommended over Bluetooth headphones, limiting your EMP exposure. Any appliance in your home that doesn’t require electricity is preferred. If you must use electrical appliances, be sure to be limited in their use. Devices such as iPads or Ereaders also carry the risk strong EMP exposure. When you are not using these devices, small Faraday bags are recommended. It is also recommended that “airplane mode” for both your computer and smartphone is used when your devices are not being used. There are a number of household and everyday applications for Faraday bags. Anything that you feel will emit an electromagnetic pulse, or EMP can be protected by a Faraday bag. And Faraday bags can be used for anything, and come in a wide range of sizes. You can even find Faraday bags small enough for the key FOBs for your car. You’ve likely seen movies where vehicles were hacked remotely for the purpose of crimes or national security. You will probably never have to worry about that. But if you have a Faraday pouch for your car keys, you will be even less concerned about that. Your everyday microwave oven also has a Faraday cage. You may see a mesh-like texture in the window of your microwave. This is a form of a Faraday cage. No doubt you’ve heard that microwave ovens can be dangerous due to exposure to radiation. But the makers of your microwave have already thought of this. Shopping bags can also be made into Faraday bags, with a pocketed pouch that is lined with foil that protects devices. Even planes are equipped with Faraday type cages which protect you as a passenger from any form of electric charge. This can include lightning! Faraday bags work both ways. You may use one to prevent crime, and law enforcement does as well. Many law enforcement and military personnel have a number of Faraday bags at their disposal to protect themselves. They will also use it with digital evidence they collect to ensure it can not be altered remotely. Do You Need a Faraday Bag? In this day and age, only you can answer the question as to whether or not you need a Faraday bag. But if you are running errands a lot, travel a lot, or have a secure job or personal life, then the answer is obvious. Faraday bags block everything from data on your computer to data on personal items like an ATM or driver’s license. They can even protect passport data! Some vehicles also contain Faraday type protection. If you work or live near power lines or cell towers, they are something you seriously want to consider. You may have even been in a high-technology building and seem them for yourself. A hospital, for example, may have technology surrounded like cages, and these are probably Faraday cages. Larger devices will need cages, but even some computers can be towed in Faraday cages today. Whether or not you need one will depend entirely on your comfort level. Do you have a high-security job? Do you have highly sensitive information on your phone or computer? If so, then your sense of Self is available for the world to see. You don’t need to be heading out on an interview with Edward Snowden to have the right to protect your data. There is an infinite number of technologies hitting the market today that will connect you to a global market, a global news world, and global connections. But with every connection made comes the wonder if you could be putting your sense of Self at risk. When your phone is jeopardized in any way, it’s like losing a sense of your Self. Thankfully, with every new technology that hits the market today, there is a technology developed that can help you protect that sense of Self. One easy means of doing so is the faraday bag. 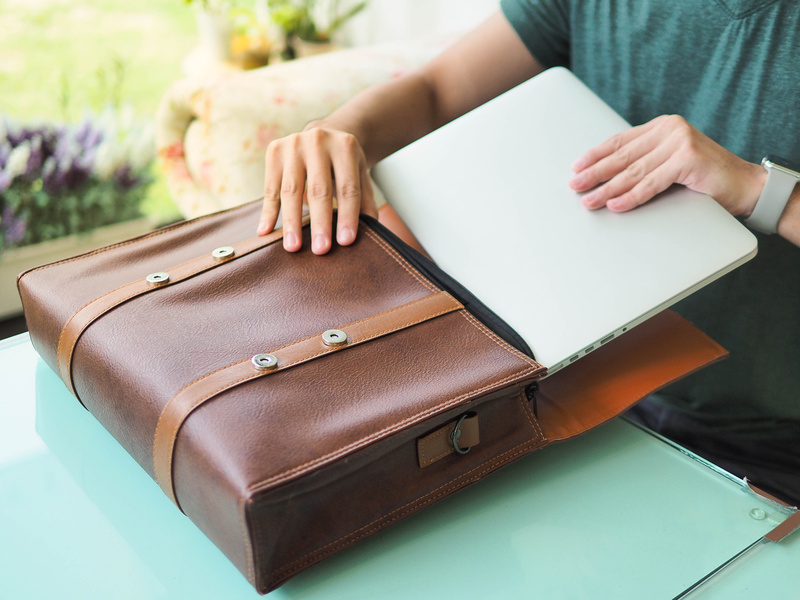 Tuck your devices into a Faraday bag and you’ll never wonder if you’ve been hacked again. Buy peace of mind with a mega-value pack of Faraday bags today and have every one of your technology pieces covered within days. This entry was posted in Style and tagged faraday bags, fashion, style by techpro23. Bookmark the permalink.